Do you have a child that isn’t sleeping well at night? Some of you may have a child that is waking up in the middle of the night and not going back to sleep. Others of you may have a child that is almost impossible to go to sleep at bedtime. They stay up in their room or bed and refuse to go to sleep. This can be very exhausting for parents, but more importantly it is a requirement for the body. Here are 3 tips you can use to help your child get to sleep and stay asleep. The first tip is to start earlier. Having an earlier bed time can create better sleep habits for the kids. It also allows you and your spouse more quiet, quality time together AND you both can get to be early and get a good nights rest as well. Sleep is not only very important for children, but it is also very important for adults as well. Sleep is where our body does a lot of repairing and healing because our nervous system shifts into Parasympathetic mode. Essential oils are very popular right now. Lavender oil is a great essential oil to use to help with insomnia and provide better quality of sleep. 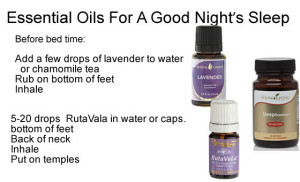 You can rub a couple of drops of lavender oil on your child’s feet and wrists before bed time. You can also diffuse lavender oil and use it for aromatherapy. The scent of lavender stimulates brain pathways and create a relaxing effect. A little known remedy for sleep is pediatric chiropractic. Pediatric chiropractic care isn’t about bad backs or headaches. It is about the function of the autonomic nervous system. Many children that we see in our office have trouble falling asleep and staying asleep. Almost all of them are in a sympathetic (protective, fight or flight) dominant mode of their Autonomic Nervous System. When you are in a sympathetic dominant state, your body is in survival mode so it want to be alert and not fall asleep. If you were running from a Grizzly Bear, would you want to fall asleep? Of Course not! Pediatric Chiropractic care calms the Sympathetic Nervous System and stimulates the Parasympathetic Nervous System. The Parasympathetic Nervous System is where rest, healing, growth, and development takes place. If you have tried essential oils and establishing an earlier bed time routine, then chiropractic care is your next step. We have technology in our office to test the function of you or your child’s Autonomic Nervous System. This will tell us if you or your child are in a Sympathetic, protective, dominant state. 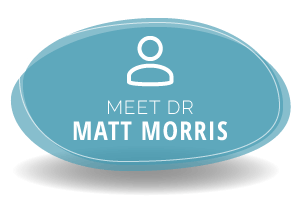 Schedule a nervous system evaluation for your child today by calling our office at 941-822-8828 or request an appointment at the top of the page!